A GORGEOUSLY CREATED FORMULA OF INTENSE COLOUR THAT’S HERE TO STAY. 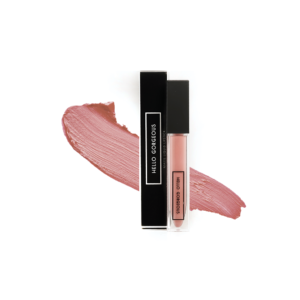 THE CREAMY TEXTURE PAIRED WITH OUR VELVET APPLICATOR HELPS CREATE PRECISE BOLD LIPS BEFORE SETTING TO A MATTE FINISH. TIPS: EXFOLIATE LIPS TO IMPROVE CONSISTENCY OF APPLICATION CREATE AN OMBRE LOOK BY FILLING LIPS IN A LIGHTER SHADE BEFORE SETTING.